We don’t have to tell you hiring is hard, but in the spirit of Emotional Agility, calling out what’s hard is your best first step. Once you understand what challenges you’re facing, you can make a game plan to conquer them. In the context of this guide, we want to call out the one fact so many marketing and business leaders refuse to say out loud -- finding high-performing marketers is exceptionally hard. And there are three reasons why. The unemployment rate is down to 3.7% nationally, which is great for the economy... but challenging for hiring managers. 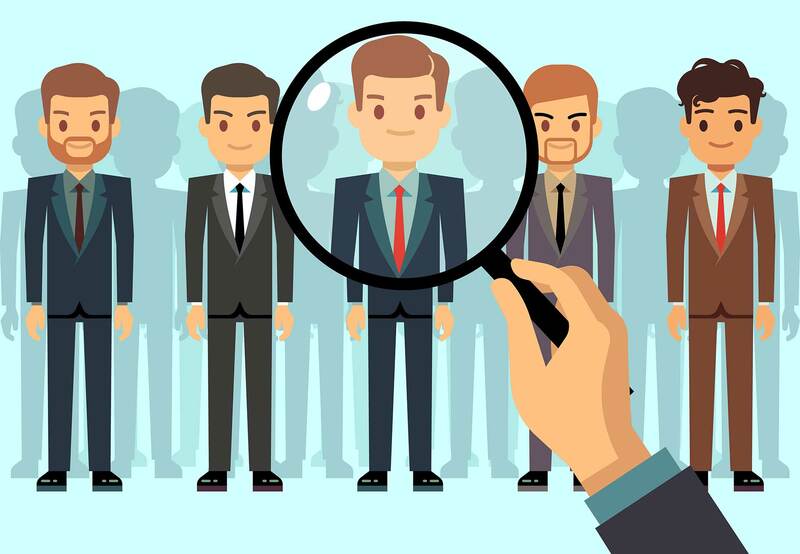 With so few people actively seeking employment, you may find yourself with a lack of a strong candidate pipeline - either in the amount of candidates you have or in quality. To keep up with rapidly changing technology and best practices, you need to find someone who is capable of performing against a constant moving target. In addition to a strong marketing skills set, finding someone with a strong emotional intelligence is the biggest predictor to their success. According to TalentSmart, people with a high EQ outperform those with a higher IQ 70% of the time. So you need to find someone who is smart and emotionally intelligent. No big deal, right? Cutting through jargon on resumes is a challenge in of itself. Once you find someone that appears to check all the boxes, there’s where the real challenge comes in. To conquer these challenges, you need to look at your entire hiring process -- from how you recruit to the marketing interview questions you ask. Throughout her career, Brie has always been at the epicenter of today’s most influential marketing strategies. 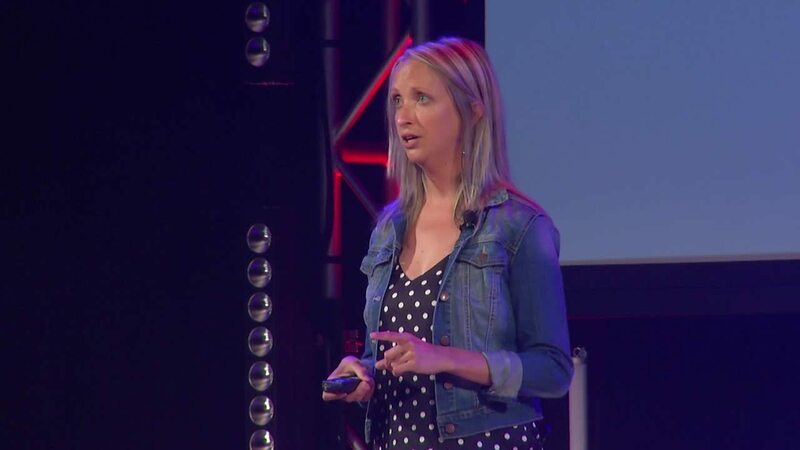 Upon her graduation from the University of Missouri School of Journalism, she took her knowledge and natural know-how and applied it as a strategist for 10 years developing award-winning marketing campaigns for clients -- ranging from small nonprofits to large enterprise organizations. She now leads IMPACT’s services division, keeping her ears on the ground for the latest marketing strategies and tactics we should be offering for our clients and guiding her team to reach new levels every day. Have you ever interviewed someone and thought, "There is no doubt in my mind they're the high-performing marketer I've been looking for," only to discover after hiring them that they are not going to cut the mustard? Two in three workers say they have accepted a job and later realized it was a bad fit, and 74% of employers say they’ve hired the wrong person for a position. Given that the cost of a bad hire is $15,000 or more, these mistakes point to the importance of an interview process that enables employers to accurately assess candidates. That's why before you start curating a list of effective marketing interview questions -- which we'll cover in detail in subsequent chapters -- you need to take a holistic look at your recruiting efforts first. Prior to the interview, the information that you as an employer have about candidates is limited to their resume and cover letter as well as their social media profiles and broader "digital footprint." The problem is that much of this can be packaged by a candidate to tell you what you want to hear. By contrast, the interview is your first opportunity to dig deeper and uncover a candidate's strengths, weaknesses, skills, and behaviors -- the things that don't show up on a resume. The degree to which you are successful in discovering this information is almost entirely dependent upon the questions that you, as an interviewer, ask. The differences between these two types of questions may seem subtle, but they can have a major impact on your ability to effectively evaluate candidates. So, how do you know when to use each type of question? Situational interview questions are the most common type of interview question because they allow employers to craft questions that relate to specific circumstances that they know candidates will encounter if they are hired. For example, when hiring a marketer you might ask, "If our website traffic suddenly dropped, what would you do to try and diagnose the cause?" These types of questions can be designed to throw candidates a curveball and present them with scenarios they may not have expected. Done well, they can reveal whether a candidate is able to think critically under pressure and also show the depth of their knowledge and experience. Unfortunately, situational interview questions are also easy to prepare for and, as a result, more experienced candidates may have pre-planned "canned" answers. This can make it difficult for you to accurately assess whether the candidate is right for the role because while the candidate's intentions may be good, good intentions don't necessarily translate into desired behaviors. By contrast, behavioral interview questions force candidates to draw upon their actual experiences in answering questions. The idea is to ask a candidate questions about their specific behavior in past situations that are similar to the situations they will encounter in the role you are trying to fill. The candidate starts by describing a past situation, states the action(s) they took, and then provides details about the result(s) they achieved. By the time you interview a candidate, you will already have seen their resume and are familiar with their experience, skills, and education. The interview is your opportunity to read between the lines and evaluate the candidate’s soft skills such as communication, problem-solving and critical thinking. For example, you might ask about a client’s marketing campaign that didn’t go as well as they had hoped. The candidate’s answers will provide insights into their emotional agility, adaptability, and thinking style. Because behavioral interview questions focus on a candidate's past behavior rather than their hypothetical response to a future situation, they can help to prevent confirmation bias on the part of the interviewer. When candidates have a great resume, professional appearance, and friendly demeanor, it can be easy to assume they’ll be right for a role. Behavioral questions surface patterns of past behavior that might run counter to the qualities required for successful performance in a role. For instance, an inability to manage conflict or difficulty dealing with stressful situations -- both of which are realities for marketers who either do client-facing work at an agency or report to the C-level in in-house positions. While most interviews tend to rely heavily on situational questions, the best outcomes generally come from a combination of situational and behavioral interviewing. You can weave behavior-based marketing interview questions throughout your entire hiring process, starting even before your first interview with a candidate. Here’s how we structure the hiring process at IMPACT. In addition to asking candidates to upload a resume, incorporate behavior questions into your application. You’d be surprised how many people we knock out of the process based on that question. Those who do make it through go to the phone screen. Rather than waste an entire half hour or hour on someone who may or may not be a total dud, incorporate five-minute phone screens into your process. If the answers we get are generic -- meaning they don’t seem to have any real experience to easily answer this question -- or they end up bashing a client in their response -- meaning, culturally they aren’t a good fit -- we immediately eliminate the candidate. 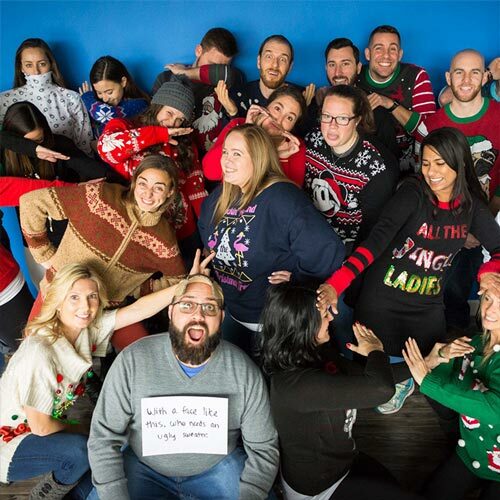 We also ask why they want to work at IMPACT, which if the answer is, “Well, um, because you have a remote marketer position,” vs. anything that shows us they researched our company and our culture, we know they’re not a fit. We also gauge if a candidate has attention to detail and can follow directions at this stage. We explicitly state our screen is a video call. If a candidate doesn’t realize that, it’s usually a red flag to us. So yes, five minutes is quick, but you can learn a lot about someone and spare both you and the candidate valuable time if it’s not a good fit. The candidates that you want to dive deeper and get to know more move onto the 30-minute interview. The 30-minute interview is the time to learn about your candidate’s past experience through behavior-based marketing interview questions. If we feel they understand the role, have the experience and skills to do well in it, and their salary request is in line with what we budgeted for the role, the candidate moves to the situation activity. It’s one thing for a candidate to say what they’ve done, but there’s still a chance they either exaggerated their performance or were not self-aware enough to know they didn’t perform as well as they thought. For our client-facing candidates, we run them through a mock client call with a pre-set agenda with topics ranging from idea generation to holding clients accountable to discussions about money. If a candidate has the right experience, a high EQ, and knows what to do, this is not a hard activity. This is the stage where some of our most favorite candidates in our pipeline bomb. For those that don’t, they get to meet our CEO. This may not be feasible depending on the size of your company, but at IMPACT, every single person who works here is approved by our CEO, Bob Ruffolo. In this 30-minute call, Bob acts as a final vetting lens to ensure the team is objectively hiring for skill and EQ. He also will make sure they understand the challenges of working at IMPACT and they know what they’re getting into -- #agencylife. Once a candidate passes “the Bob test,” they move to the final stage -- the in-office observation. We bring candidates in for one to two days to meet with a mix of IMPACTers, to better understand the role, and to ensure both they and we feel it’s a good fit. We obtain feedback from everyone who meets with the candidate throughout their visit. 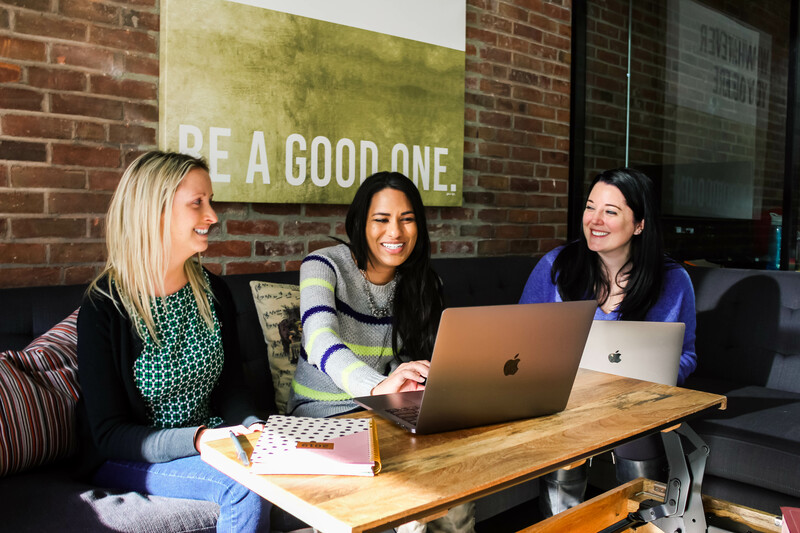 Revamping our hiring process at IMPACT as described above has dramatically lowered our turnover, increased our client success rate, contributed to our revenue growth, and transformed our culture. Is your hiring process doing the same? 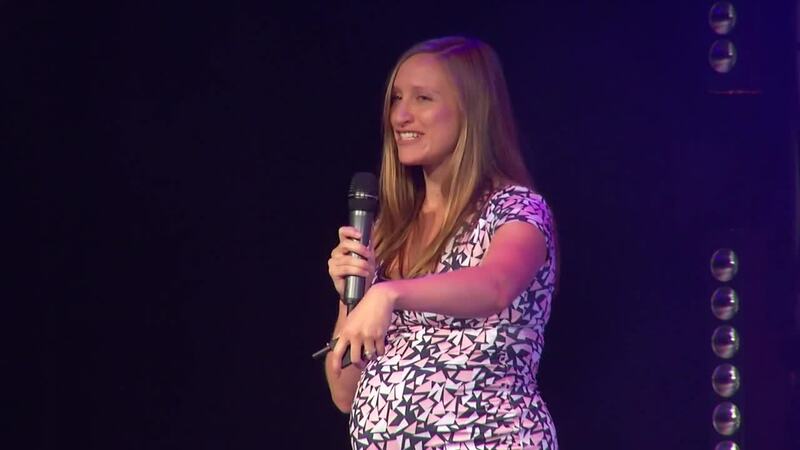 In this candid session from IMPACT Live, IMPACT VP of Talent Natalie Davis walks through the secret sauce behind our hiring process, and the results we’ve seen since implementing it. Are Your Marketing Job Candidates 'Ghosting' You? You're Not Alone. 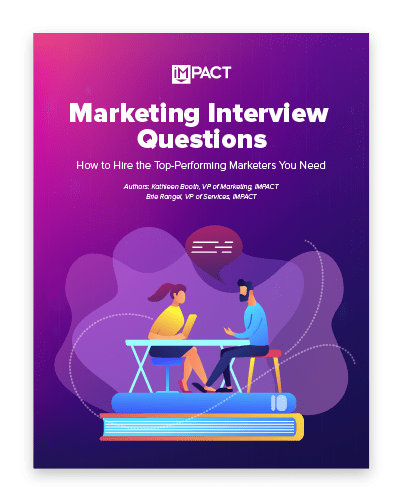 It’s important to realize that although you are primarily here to understand the right types of marketing interview questions to ask, you aren’t the only one doing the interviewing. Candidates are interviewing you just as much as you’re interviewing them. To find the right person for the job, you need to step back and evaluate your entire candidate experience and what you’re doing to attract the best job candidates. Here at IMPACT, we've put a huge focus on the following areas to ensure we not only attract the right candidates, but we also weed out the ones who won’t be successful long-term. When this is documented and out in the ether for candidates to see before interviewing, this is how you can assess if someone has done their homework in why they are applying to work for your company. It’s a tough market for employers, so you need to position yourself to attract the best candidates possible. 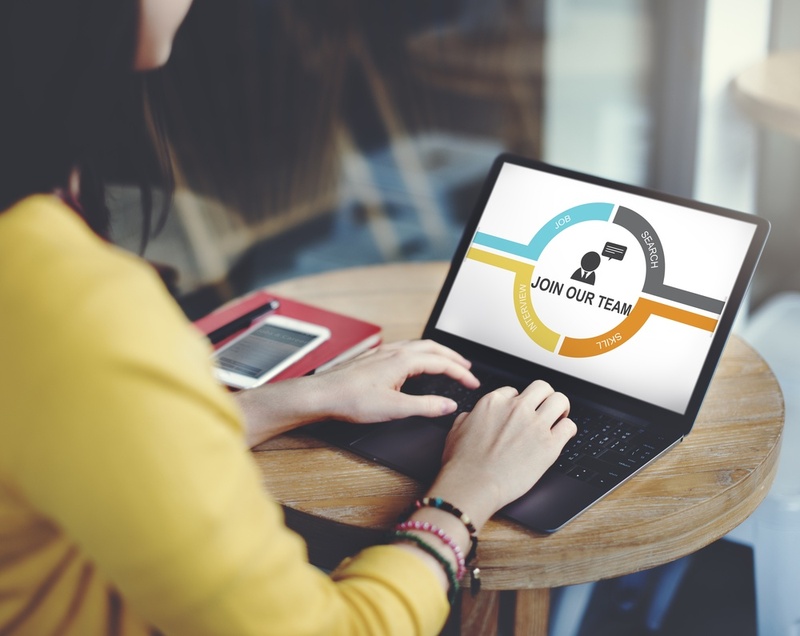 Before creating or revamping your careers page, ask yourself what candidates want to know and what they value before they consider joining a company -- better yet, ask your employees. Here's our careers page, as an example. Changing jobs isn't easy. So, mitigate some of the friction and risk of your prospective employees by outlining the benefits you offer, awards you’ve received, and stories or testimonials from current employees that vouch for your culture. Any good marketer worth their salt is going to research your company and team members on social media. Keep your channels up-to-date and show your company’s personality. At IMPACT, our VP of Talent, Natalie Davis, did an exercise with everyone a couple years ago grading our LinkedIn profiles. She helped everyone get their personal brand up to snuff, and when we interview candidates, they reference what our profiles say. We all know it's important that we represent IMPACT and ourselves well, and you and your employees should, as well, for your organization. 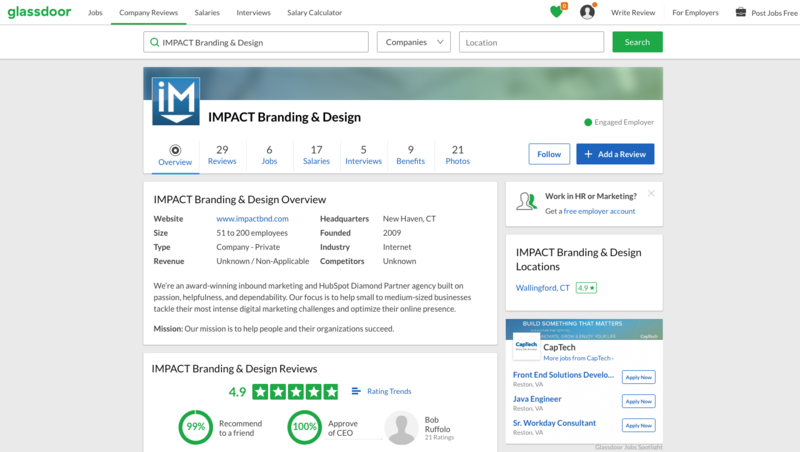 In addition to candidates researching your social profiles, they are definitely going to check out Glassdoor to validate if what you say on careers page passes the sniff test. 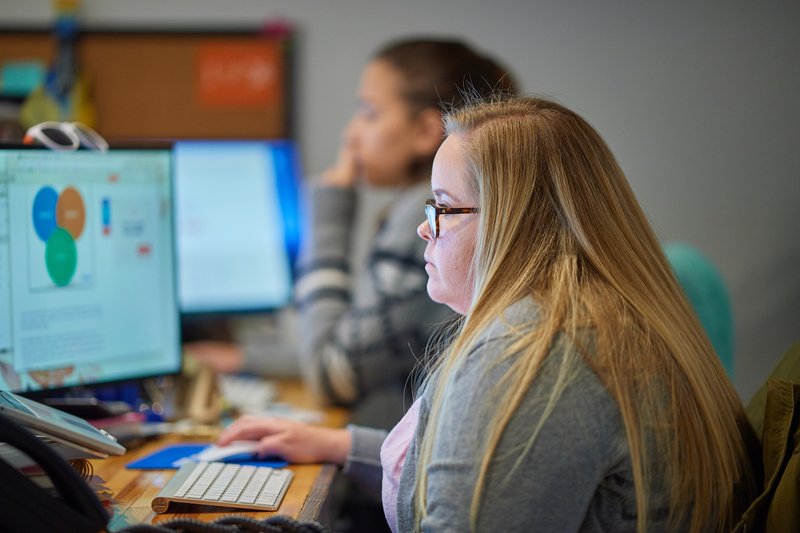 Through Glassdoor, prospective candidates can find honest, anonymous reviews of what it's like to work at your company, see what people think of your CEO, gauge the salary ranges you offer, learn about your interviewing process, and more. Ask your employees to honestly review your company so you can attract more great people like them. The specific set of questions that you use to evaluate candidates for marketing positions should, of course, relate closely to the position you are hiring for and your specific company values and culture. Following is a list of questions in each of these categories that we draw from for our own marketing interview process. In almost every case, these questions are structured as behavior-based questions and therefore require the candidate to draw upon past experience in their answer. It's always good to begin the interview by establishing a rapport with the candidate and learning a bit more about them both personally and professionally. How did you learn about this position and what prompted you to apply? Why are you interested in a career in marketing? What is the best job you've ever had? Hardest job? What are your personal and professional goals? In three years? In five years? In 10 years? What were you doing at your position with (past employer)? How did you get that position? Describe a typical day. What is something you learned from (past employer/role) that you want to take with you in your new role? Who has been your favorite manager and why? Marketing skills are the particular set of knowledge, abilities, and expertise needed to successfully perform in the role you are hiring for. They are learned activities that can be mastered through training, not innate talents or behaviors. The specific skills you'll want to measure in your interviews should be dictated by the requirements of the role the candidate is applying for. If I were speaking to your friends or your former supervisor, what would they say are your strengths? Weaknesses? Give me an example of how these play out. Tell me about a successful marketing campaign you recently worked on. What was your contribution? Why do you consider it successful? Tell me about a marketing campaign that did not work as well as expected. What went wrong? What is your favorite marketing book or blog? Why? What are three components of a successful inbound marketing strategy? Give me an example of how you have used these in a past situation. What's an example of a lead generating campaign you'd be excited to work on here? Describe for me how you as a marketer have interacted with sales in the past. What worked/did not work? Tell me about a working situation in which you had to market a product with a team of people who had very different ideas and values from you. How did you manage the situation? How did you grow traffic in your last role? What content promotion strategies have you used in the past? Which of these do you feel is the most effective? Tell me about a time when you owned the process of an email campaign from beginning to end. Which tools have you used to report on the success of your marketing campaigns? Which do you like best and why? How have you measured lead quality? Competencies are “how” a skill gets done. They are generally bundles of skills such as critical thinking and problem-solving, as well as role-based abilities such as people management or client account management. The exact competencies that you'll evaluate for in your interviews should be based upon the requirements of the position, but some common competencies required of marketers include initiative, critical thinking, results-orientation, and stress management. How do you stay organized and on task? Let’s say you were given a tight deadline on a complex project. How would you tackle it? How did you learn that approach? Share a time you identified a problem in your company and how you resolved it. What do you think are the three biggest challenges facing companies today when it comes to marketing? How have you addressed these in past positions? Let’s say you have a client and you feel you’ve been doing a great job on their marketing but they disagree. What specific analytics would you use to prove to them that the work you are doing is having a positive impact? What techniques do you use the measure the quality of your work? What steps do you take to ensure the desired quality is achieved? Describe a time you weren’t happy with your work and why. Tell me about a time you made a mistake. What did you do when you realized this? How did you handle it? What did you learn? Describe the most difficult client you've ever had. What made them difficult? How did you handle that relationship? Behaviors are responses to a stimulus -- for example communication, leadership, conflict management, reactions to feedback, etc. Because behaviors only manifest when someone is in the actual situation and presented with the stimulus, they cannot be measured using situational questions. For this reason, we rely exclusively on behavior-based questions to evaluate candidates in this area. Tell me about a new approach or idea you have introduced or developed. Tell me about a time when you demonstrated leadership skills. What about this example makes it a good example of leadership? Who have you coached or mentored to achieve success? How did you do this? Give me an example of a time you worked effectively as part of a team. What are you an expert in? How did you develop that expertise? Teach me something about this. Tell me about a time you felt frustrated by a friend or co-worker. How did you handle this situation? Give me an example of a team that you were a part of that did not work together effectively. What did you do to improve that team environment? Have you faced a situation where you had to work with someone who didn't like you? How did you handle that? Tell me about a time where you dropped the ball for a client. How did you communicate what happened to them? How did you resolve the issue? What is the relationship like afterward? Tell me about a time you had to confront someone about their actions when they weren't following established processes or protocols. Tell me about a time you disagreed with a manager and how you handled it. What recognition have you received that you are most proud of? What is the best piece of criticism anyone has ever given you? What did you do as a result? Culture is not necessarily a skill, competency or behavior, but it is a critical measure by which to evaluate candidates. Measuring culture fit is much easier when you have clearly defined your company culture and therefore have a yardstick against which to evaluate a candidate. In that case, you may have very specific questions that are designed to show whether the candidate matches your cultural values. For example, here at IMPACT, our culture is based on our three core values of helpfulness, passion, and dependability. As a result, the questions we ask are designed to measure the degree to which candidates embody those values. Tell me why you think you are the best person for this position. Why do you want to join our company specifically? What kind of a workplace are you looking to be a part of? What do you mean by that? Give me an example. In what way is our culture a good fit for you? How would you enrich it if hired? What are the top three things you are motivated by? If you were to get the job, but a year from now, things did not work out for you, what circumstances would have led the outcome of feeling like working here was a bad career move? While there are a seemingly infinite number of questions that you can ask as an interviewer, there are also certain types of questions that you should never, ever ask a candidate. For virtually all of these categories, you are prohibited from doing so by the laws enforced by the United States Equal Employment Opportunity Commission. Though there are ways to phrase certain types of questions, it is very important to understand what you aren't allowed to ask candidates. A failure to do so could result in a discrimination lawsuit, should you choose not to hire someone -- no matter how innocent a question may have been considered by you. From identifying the hallmarks of creativity to singling out high performers, find out what tools and processes you need to assess and screen applicants, and separate the rockstars from the pack. Developing a good list of marketing interview questions is a great starting point for the hiring process, but it doesn't necessarily help you to determine which candidate is the best one for the job. This is where a standard interview rubric can help. A rubric is, quite simply, a scoring guide that helps to ensure you as the interviewer(s) are applying consistent evaluation criteria across candidates. The use of a structured interview rubric can not only improve the outcomes of your hiring process - it also reduces your legal exposure. In a review of federal court cases involving various selection devices, unstructured interviews were the most frequently challenged step in the hiring process. Moreover, the companies that were subject to these challenges were found at fault in almost half of these cases. Alternatively, in the few cases in which a structured interview was challenged, the decision was in favor of the company 100% of the time. The results they achieved via their actions. Candidate is unable to provide an answer. Candidate is unable to provide an example or make a clear connection to their past experience. Candidate has provided a satisfactory answer. Candidate has provided a satisfactory answer with substantive examples. Candidate has proven through their answer how they've achieved positive results by their actions. We also leave space under each question for the individual conducting the interview to take notes. Have you ever met someone incredible in the interviewing process -- someone you instantly clicked with and who had great stories to tell about their experience where you could tell they really got it. It's a great feeling. Except when that person struggles once they're actually on the job. That’s why we created the situation activity step in our hiring process. To minimize the instances where a job candidate doesn't live up to their own hype or fails to live up to your expectations. We mentioned this earlier, so, here's a comprehensive breakdown of how to run an effective situational activity. The ultimate goal of a situational activity is to understand how a candidate will perform in the role. To start, think of a common activity this role would do and reverse engineer what it means to be successful at it. Let’s dive deeper into the client-facing candidate activity we run. For an account manager, running client calls is an everyday activity. On those calls, they do a mix of project management, account management, and consulting. 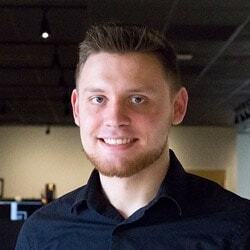 Every call is different, and it requires strong inbound marketing knowledge, the ability to uncover what a client is really trying to say, the ability to hold clients accountable to deadlines and other parameters that will ultimately determine a client’s success, and most importantly, empathy and compassion. We can’t afford to make a bad hire and have someone start working with clients, only to find they don’t have these crucial skills. So, we designed a mock client call to test for them. The call has five or six preplanned agenda items to cover common occurrences like the client being behind on content, the client being frustrated with results and the value they see from IMPACT, and the client wanting to add on more work that’s out of scope. These are normal things that could happen on a call -- hopefully not all on one call in real life! -- and something a client-facing person at IMPACT should easily be able to handle. We provide an overview of the “client” and their current situation with IMPACT, along with a full explanation of what situation the candidate is stepping into so they know how to manage the call. An IMPACT team member, usually the hiring manager, acts as the client. When it’s time to run the activity, we hop on a Zoom video call with the candidate and make sure they don’t have any other questions about it before we get started. We then reiterate the time limit they have and ask if it’s okay for us to record the call, so other team members can check it out. When the candidate is ready, we launch into the role play and let the candidate take it from there. Do they understand the client? Are they comfortable challenging client? Do I believe they care about my success? At the end of the activity -- and once the assessment has been completed -- each candidate will have a score out of 100%. To be as consistent as possible, we also developed a scoring criteria sheet that documents exactly what a one looks like vs. a 10. Although it’s not perfect, no matter who runs the activity, we’re pretty consistent on how we each score candidates. This is thanks to the documented scoring criteria sheet and the fact that we know what it takes to be successful in the roles we’re hiring for. Once the assessment is complete, the person who ran the activity posts it to our applicant tracking system with a thumbs up or thumbs down to proceed to the next step. 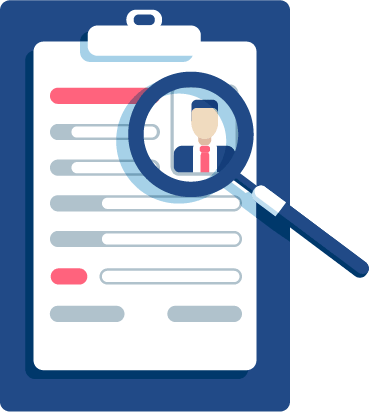 To avoid the candidate having to do the activity more than once, we record it so internal stakeholders can listen and contest the assessment if needed. This is another way we try to prevent bias or over-excitement for one candidate. Before the “Bob call,” we make sure the manager of the team the candidate would go to, as well as their teammates, get to listen and say their peace before we proceed in the hiring process. We have a hard stance on hiring being unanimous, so all immediate team members must review the candidate’s interviews and activity to ensure they are confident this person would be a good addition to the team. If they don’t feel like they would, we don’t waste the candidate’s or Bob’s time on the next step. Everyone, whether they move forward or not, receives personal feedback on their performance. This way we help and coach anyone who put in that much effort rather than leaving them hanging. This also helps us see how they receive feedback, which is critical to professional development. We once had a candidate interviewing for a strategy position that did a phone screen with one director, their 30-minute call with another director. By the end of both interviews, both directors were raving about this candidate. I (Brie) ran his activity and assessed his performance. His score was an extremely underwhelming 53%. Although he made a nice deck and seemed to care about the client, I docked points because he never actually did the one part of the agenda around strategy. He completely skipped over it. When I threw a softball at him and asked directly what ideas he had in regards to the discussion we were having, he said he thought what was already in place was fine -- even though the situation was I was unhappy about my results. I determined through his activity he would not be moving forward and when I called him to let him know, he got very upset with me. With a sharp tone, he expressed his frustration that I had “wasted his time” telling him he didn’t get the job when a simple email would have sufficed. Hiring a new employee is a big commitment for both you and the potential employee. In addition to super-charging your marketing and sales efforts, video gives you an opportunity to connect sooner in your interviewing and hiring process and get to know your potential candidates in a more realistic way. This is especially important if your organization hires remote employees. Although we call our first stage in the hiring process the “phone screen,” we execute this conversation via video so we get a chance to meet our candidates as close to face-to-face as possible. This provides a better candidate experience as well in that they get to “meet” you and decide for themselves if they click with you and anyone else they speak to. A word of caution -- for all the benefits of video, you much watch yourself and your team from applying bias. When a person becomes more than what’s on a piece of paper, your inherit opinion may come to life that you need to keep in check. Video can also help you before you ever speak with a candidate. The use of video on your careers page can be incredibly influential in attracting the right candidates and letting the wrong candidates self-opt out. It's common to see a video about the team on a careers page showing topics like team values and pulling back the curtain on the culture. What's less common, but equally if not more effective are videos expressing who is not a good fit for the company. For example, the list of what makes IMPACT a great place to work is quite long, but it's far from a cushy gig. You have to work hard to keep up. And, every day you don't improve yourself, someone else in the company and in the industry is getting better than you. That's important for someone thinking of joining our team to know. If that's not what a candidate is looking for, we can help them decide not to apply before anyone wastes any time. Whether you’re the only person involved in the hiring process or you have a few members of your team dividing responsibilities, you still have quite a few candidates to keep track of and moving along in your hiring pipeline. 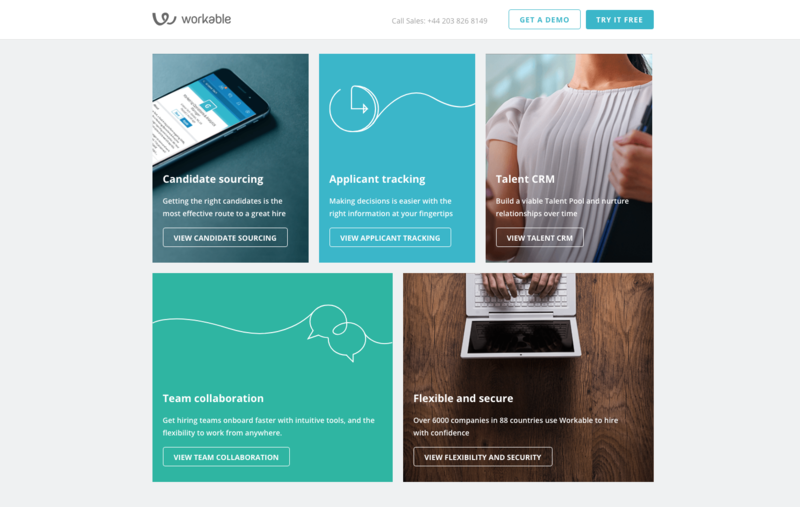 Just as your sales team uses a CRM, many recruiters and managers responsible for hiring are able to keep track of everything by using hiring tools, like an applicant tracking system -- also known as a talent management system. However, based on your company size, hiring needs and any integrations you want, there are a lot of other options on the market that may be suited to your unique requirements. As candidates move through the hiring process, each member of your team involved can document their notes and link their recorded conversations so everyone stays in the loop. To avoid a hiring faux pas and ensure our team is asking the right interview questions, we have created evaluation templates. Ensure all candidates are asked the same questions no matter who interviews them. Help us avoid a hiring mistake since it forces us to really get to know the experience level and EQ of our candidates. Prevent unintentional bias since everyone is asked the same thing. Enables a better candidate experience since they don't have to answer the same questions over and over. There are a lot of benefits to investing in a talent management or applicant tracking solution. So, if you plan to do any sort of hiring across multiple parts of your organization, with multiple internal stakeholders involved in the process, we highly recommend one. Animated GIFs used in this guide were sourced from GIPHY. Please email lmurphy@impactbnd.com for questions or concerns. Need Help Driving Traffic, Generating Leads, & Closing Deals with Your Marketing? Let's Talk!